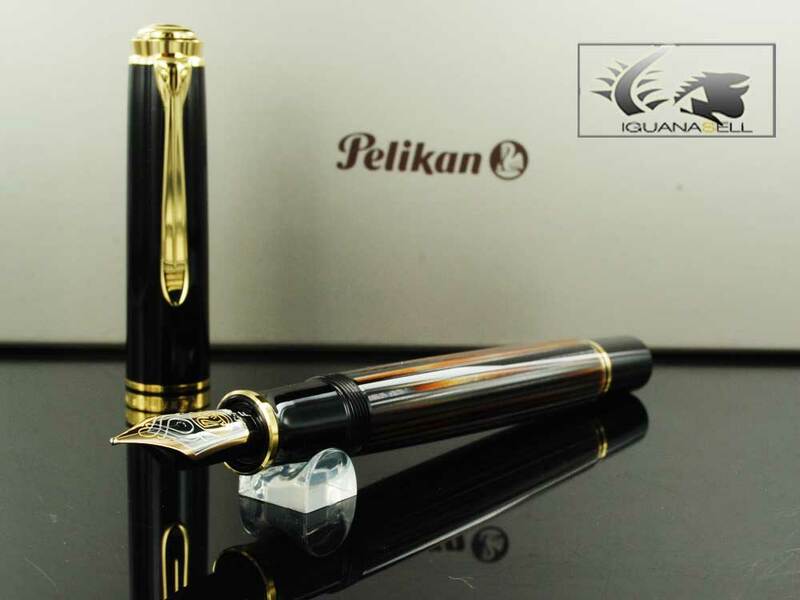 Iguana Sell Pens | Pelikan M800 Tortoiseshell Brown fountain pen! 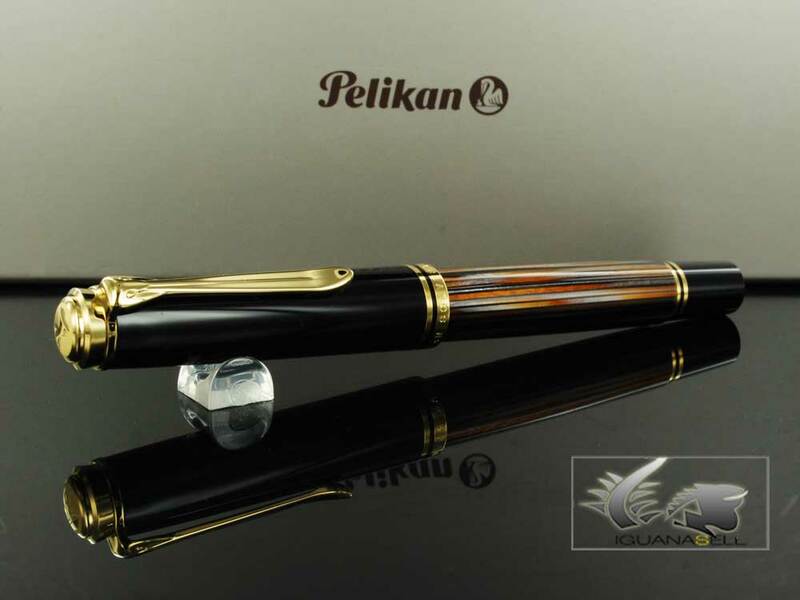 Pelikan M800 Tortoiseshell Brown fountain pen! 2013 is bringing a lot of new and spectacular pieces to the fountain pen universe! One of these models is the Pelikan M800 Tortoisheshell Brown pen! The tortoiseshell finish dates back to the Victorian era when the hawksbill turtle shell was used for jewellery and design. The characteristic shiny brownish appearance and especially the different tones that came together in this translucid material captivated stylists all over the world. All though it’s not allowed to hunt this animal any more, artificial tortoiseshell displays the same beauty as the natural one. Fountain pens, like the luxury goods they are, have not been strangers to the tortoiseshell fashion, and even though this is a more classic design, its success is still worldwide. In 2011, Pelikan launched a special edition M101N tortoisehell brown pen that was a great hit. This year, 2013, they have decided to repeat the experience with a larger model: Souverän M800. For those of you who enjoyed the last edition, or for those who didn’t get a chance, this is a great opportunity! Like all Souverän pens, this one will include an 18K gold nib, piston filler and the traditional pelican-beak shaped clip. The pen will be available for pre-order in Iguana Sell by February, and is planned to be released in April 2013. A beautiful pen which is sure to be a great success. 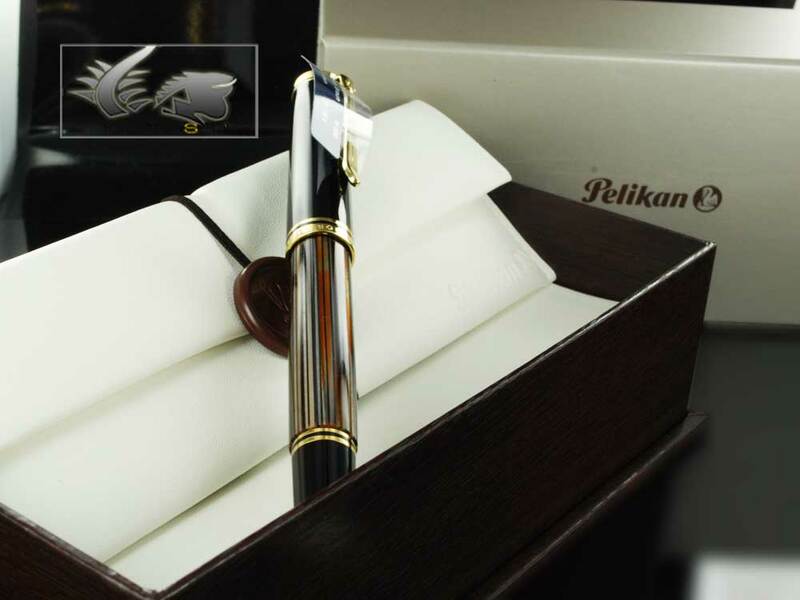 Enjoy writing even more with this fantastic Pelikan pen. Nakaya Pens – An exclusive and personal pen!Aurora Nobile Fountain Pen – Prepared for Adventure!